Two woodcuts on hand made paper by Ittai Altshuler. Fiesta 160 gr., grey deckle edge, 27 20.5 cm., 104 pages. 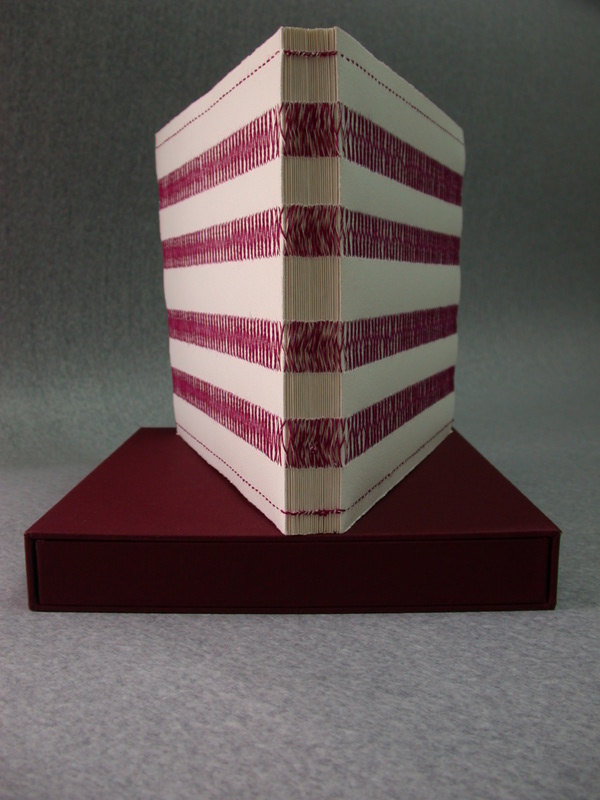 throughout the book cover including the spine, in a hand made slipcase. 23 signed and numbered copies.